The New Hampshire Coastal Program (at the NH Department of Environmental Services) is working with a coordinated team to help municipal leaders, business owners and community members identify and understand coastal resources and hazards as well as ways to reduce vulnerability to these hazards. The team will offer communities tools and information to help plan for coastal hazards, including creation of a “one-stop shop” for all hazards-related data in the 42 communities of New Hampshire’s coastal watershed. 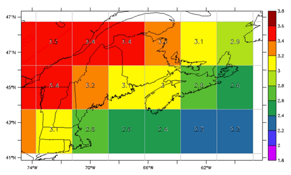 Dubbed the Coastal Hazards Viewer, this web-based product is slated to launch in June 2015. 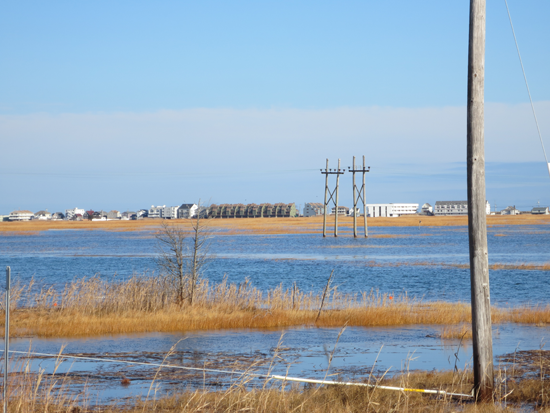 It will incorporate into an interactive map a wealth of information including river erosion hazards data; culvert hazards data; sea-level rise and flood risk projections; and new and field-tested salt marsh vulnerability data. During its development, two municipalities will test the Viewer while working on a community Adaptation Action Plan, using it to visualize and identify what in town is at risk. The project team also will reach out to the business community, introducing the Coastal Viewer tool and providing information on planning for coastal hazards. Temperatures in the Gulf of Maine have risen much more in recent decades than many other coastal waters around the world, and a 2012 “heat wave” in sea surface temperatures had damaging economic impacts.